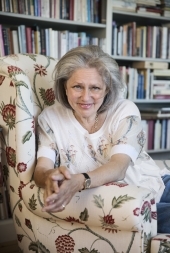 Rose Lagercrantz is an author of books for children as well as for adults. Her first book was published in 1973. Rose Lagercrantz has been awarded with the Astrid Lindgren Prize, The August Prize, Heffaklumpen and The Nils Holgersson plaque. Her books have been translated into 19 languages so far.